I came into the studio this morning to find this unexpected guest draped around my camera bag. 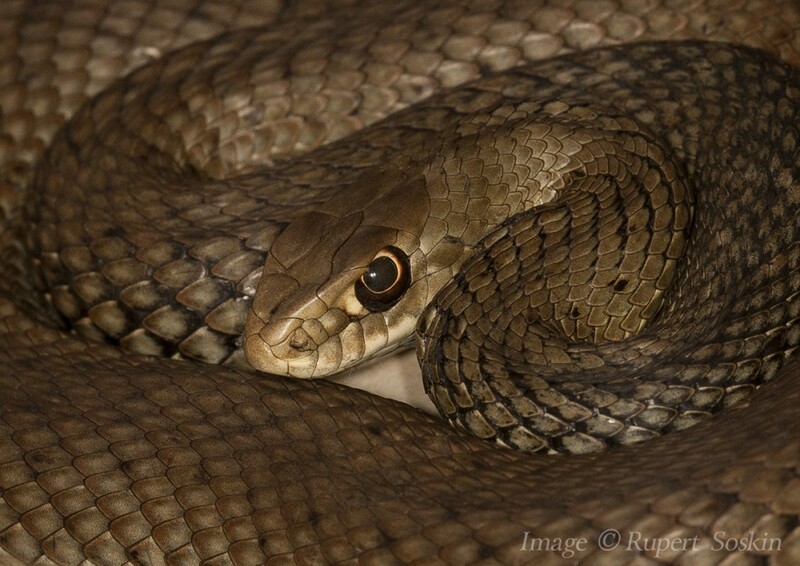 It's another Montpellier snake, Malpolon monspessulanus, which we seem to have here more than any other species. I have absolutely no idea how or when it snuck in. It must have been yesterday when I had left the door open for a while, but where it was hiding all yesterday evening is a mystery. This individual is about a metre in length but is still fairly young. They can grow up to double this length, reaching over two metres. Surprisingly they also come in a few colours, the golden sandy colour being probably the most impressive. I once tried to catch one of the fully grown golden critters that I saw crossing a country lane, but it was way to fast for me and disappeared in seconds. Still, always lovely to have surprise visits from wildlife!